Niagara grapes are a variety of the North American grape species Vitis labrusca. Used as both table and wine grapes, Niagara is the widest grown “green” grape in the United States. 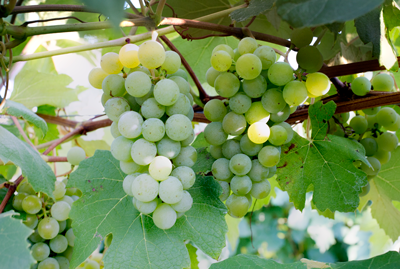 The Niagara grape was developed by Hoag and Clark in Niagara County, New York, in 1868 through a cross of Concord and Cassady grapes and is well known as a good source of commercial white grape juice. Wines produced with Niagara are “Foxy” and fruity but usually lacks the acid needed for good balance. Blending with a high-acid grape such as Catawba can improve character.